Can you believe that rocket science can result in fine wine? Zero defects. so necessary when engineering rockets, can make a difference when making wine, too. Add in a dash of artistry, and results can be remarkable. This unusual hybrid of backgrounds and approaches came together to form ZD Winery. Blast off! 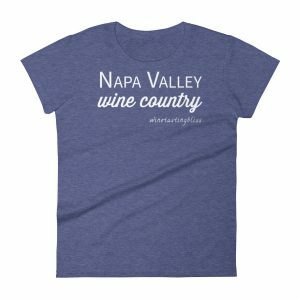 We were mid-way through a day of wine tasting along the Silverado Trail. From the Andretti Winery to Monticello Vineyards, thing were going great! 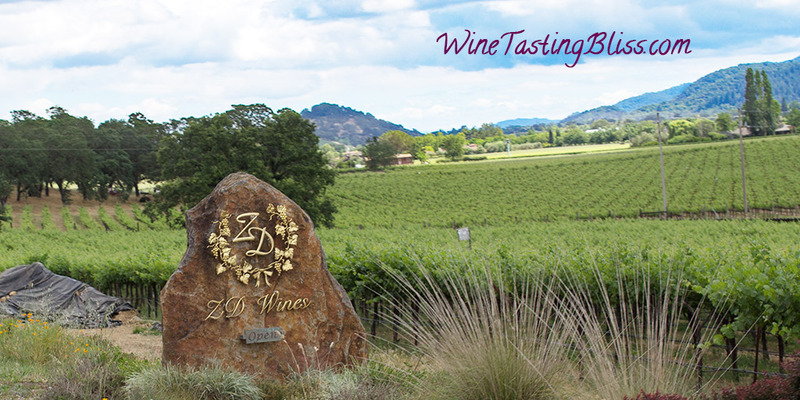 Our next stop, ZD Winery, was known for exceptional burgundy-style wines and a beautiful winery. We couldn’t wait to check it out for ourselves. 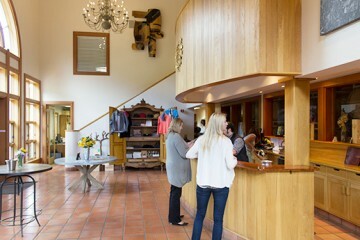 The tasting room was bright, spacious and airy, with light woods and intriguing wall art in every direction. The massive windows along one wall filled the room with sunshine, even on an overcast day. Care and thoughtful preparation was evident in every design choice. 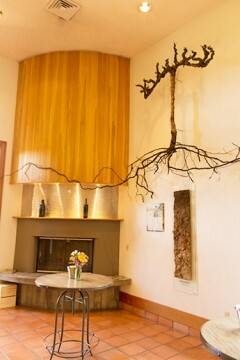 Special attention was paid to celebrating the natural art found in grape vines, which were displayed like ancient art. There were tables scattered around the room, to give tasters some space of their own, even when the bar was full. Although the facility could easily handle a substantial crowd, we happened to be the only tasters in the room. We felt like royalty! Wine guide Greg started us off with their 2014 Chardonnay, with aromas of apple, pineapple and pear. The crisp flavors of tart apple and lemon zest, with just a bit of butter, made it a great “summer on the patio” choice. We learned that this wine spent 10 months on American oak, aging at 45 degrees, without time on stainless steel. We next compared their two Pinot Noirs: the 2014 Pinot Noir with their Reserve of the same vintage. They both had raisin, slate and strawberry aromas and lovely dark fruit flavors. The Reserve raised the ante with some wood and smoke on the tongue and a lingering finish with gentle tannins. Although the Reserve deserved the label, we actually preferred the entry-level model. Our final scheduled taste was their 2013 Cabernet Sauvignon. We enjoyed the interesting tobacco and bread nose and currant and plum flavors, with just a hint of cinnamon. 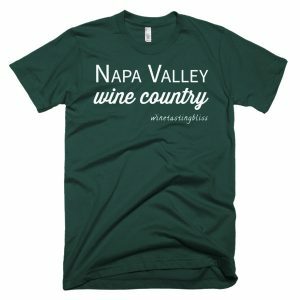 This was our favorite wine, so we put a bottle on our “take me home” list. 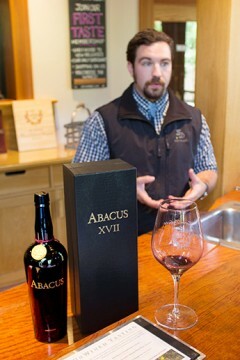 We then had a surprise taste of their wine called Abacus. This is a very unusual Cabernet Sauvignon. Produced in the solera style, this wine is a blend of every vintage of ZD Cabernet Sauvignon produced to date. That means that Abacus XVII is contains all 23 of the vintages from 1992 to 2014. This was truly an amazing wine, but more than a bit out of our price range. With one last winery on our agenda, we regretfully said our thanks and goodbyes, purchased our wine and headed off to our final tasting. 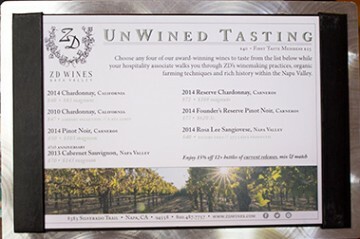 ZD Winery certainly achieved a zero defects tasting for us. Cheers! 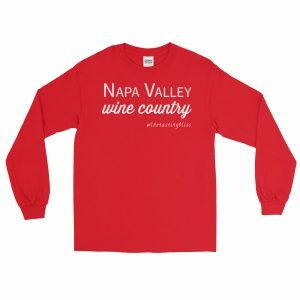 Have you visited ZD Winery? Click to give'em a tweet of support!